2019 TAA Textbook Excellence Award winner! 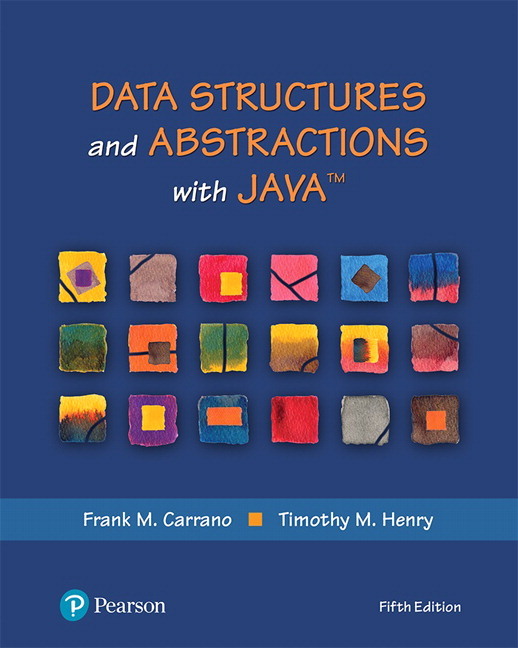 The 5th edition of Data Structures and Abstractions with Java has been recognized by the Textbook & Academic Authors Association (TAA) for its excellence in pedagogy, content/scholarship, writing, and appearance and design. For one- or two-semester courses in data structures (CS-2) in the departments of Computer Science, Computer Engineering, Business, and Management Information Systems. To increase readability and learning potential, the numbered segments and modular presentation provide a flexible, customizable pathway through the material and focus the reader’s attention on one concept at a time. Numerous examples that mimic real-world situations provide a context for the new material and help to make it easier for students to learn and retain abstract concepts. The 5th Edition has a revamped structure and additional pedagogical tools to assist in mastering concepts. The order of selected topics is revised. In particular, queues and lists are covered earlier than in the previous edition. Refined explanations and illustrations improve students’ understanding of difficult subject matter and reduce confusion. Reduced amount of Java code improves readability. A new chapter has been added to cover recursion, introducing grammar, languages, and backtracking. Additional Notes, Security Notes, Programming Tips, and Design Decisions appear throughout the book. Exercises and programming projects that emphasize areas of gaming, e-commerce, and finance are added to most chapters. Self-Test Questions are now renamed Study Questions to encourage group work as opposed to solo studying. Answers are available online. 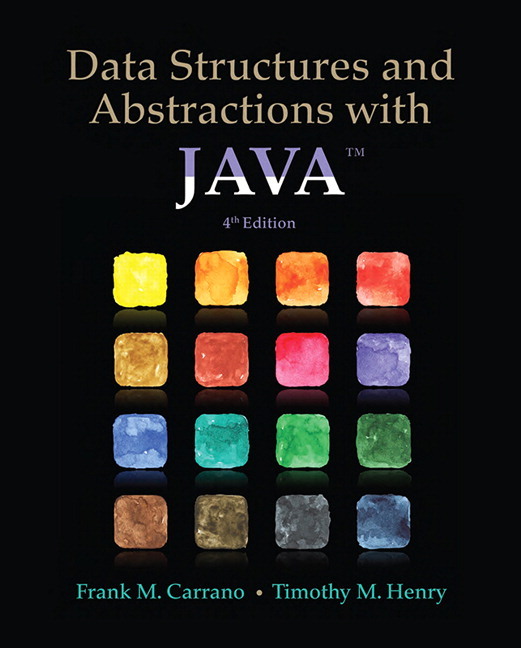 The appendix about Java classes is now included in the book.